Why do so many projects fail? Quite simply, it’s because they don’t deliver the financial value or business benefits they are set out to deliver. At best, they deliver a fraction of their targeted business outcomes. 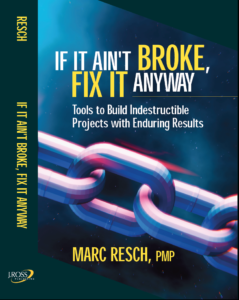 What’s truly unfortunate is that project professionals often execute these projects flawlessly and receive sign-off and approval from satisfied stakeholders, and yet these projects still don’t deliver the expected results. A strong emphasis is placed upon project delivery, but the focus on value attainment is seriously lacking. The transformation from project management to project value management is long overdue. All levels of organizations must embrace this transformation if they are to turn their project failures into project successes. Project investments can only be successful when they deliver their expected business returns. By embracing and implementing business-focused, value-driven project processes and techniques, organizations can consistently achieve optimal and sustainable business returns from their project investments. This book shows how organizations and individuals can make this transformation.